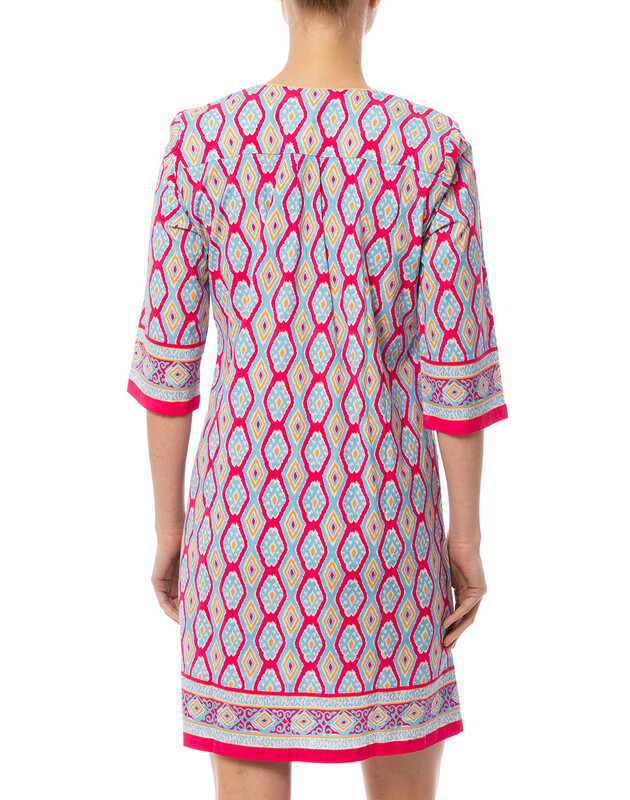 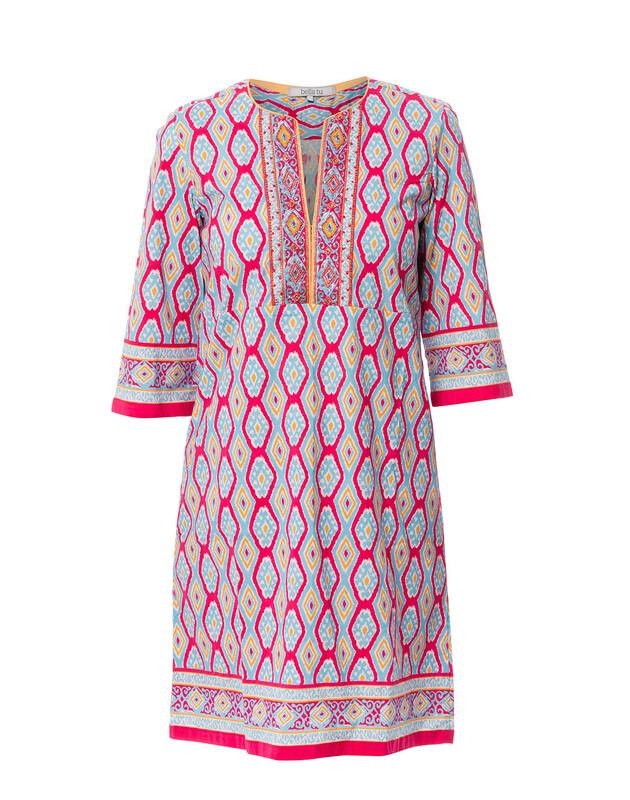 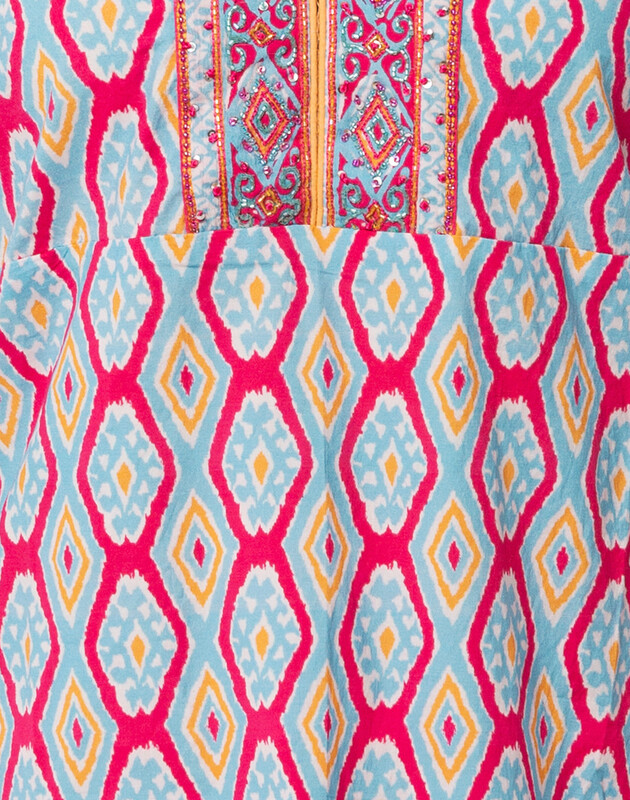 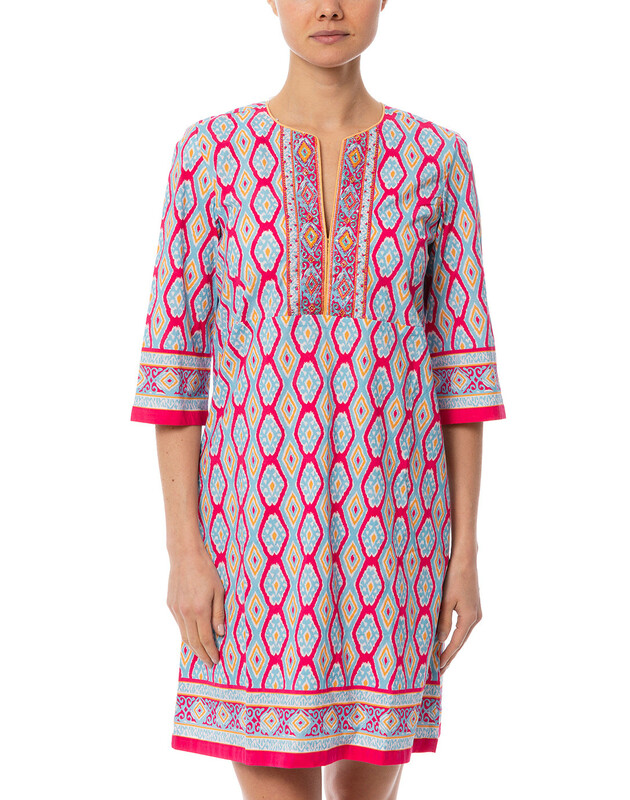 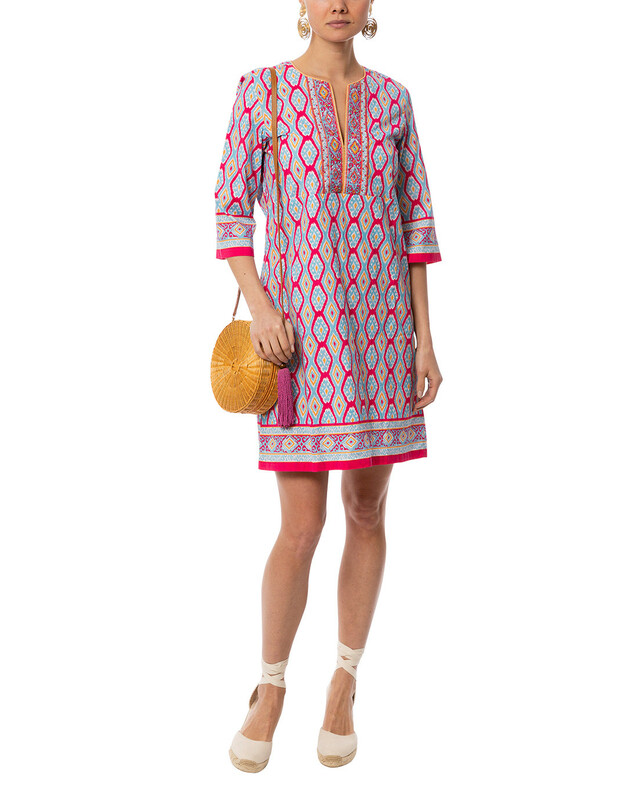 Bella Tu's Quinn dress is a spring wardrobe staple that comes in an pink, blue and golden yellow Ikat border print. 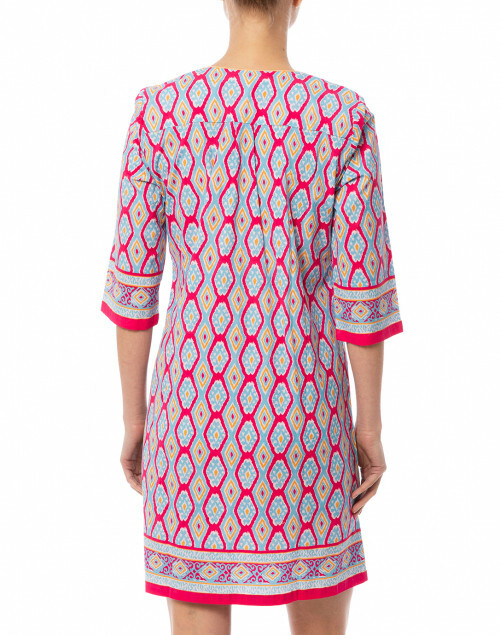 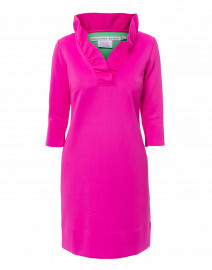 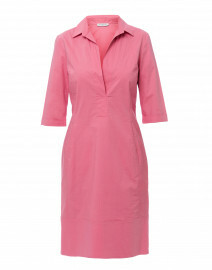 It is crafted from lightweight stretch cotton, and shaped with a notched embroidered neckline, and 3/4 sleeves. 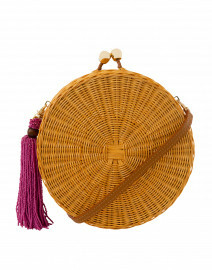 Style it with a woven bag for a polished vacation ensemble.